Cat Ba National Park is Vietnam's first national park of both which features both terrestrial and marine ecosystems. 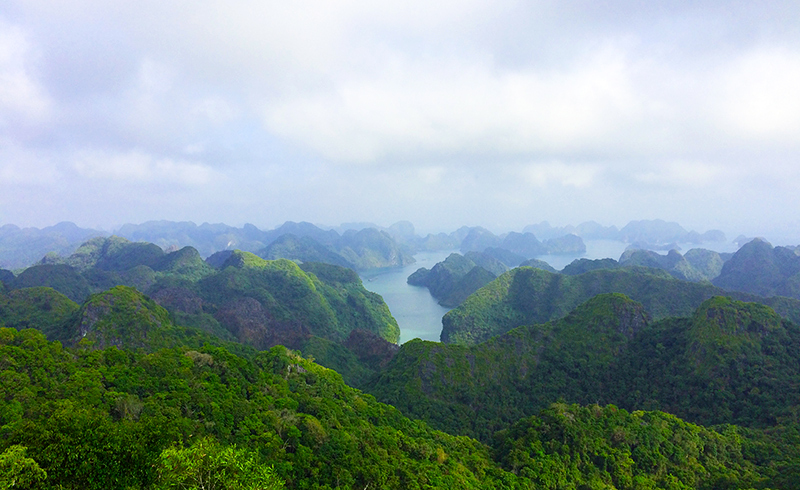 Lan Ha Bay makes up part of the marine ecosystem and features both fascinating landscapes and a great variety of marine wildlife. 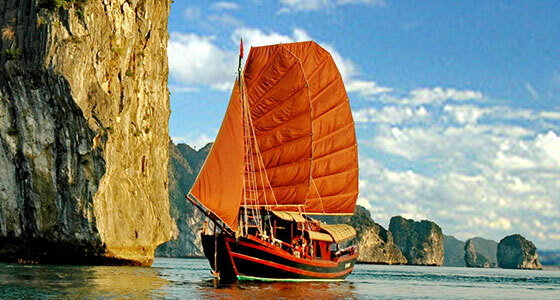 This private tour on traditional on a traditional wooden sailboat gives you the chance to really explore both the Lan Ha Bay and Cat Ba National Park. - Option 1: Pick up and off at your hotel in Hanoi with an English speaking guide. 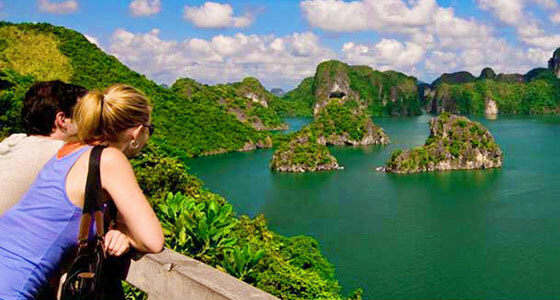 - Option 2: Shuttle bus from Hanoi - Cat Ba - Hanoi and local English speaking tour guide at Lan Ha Bay. Please see the price for each option below. Destination: Lan Ha Bay, Bai Tu Long bay, Vietnam. 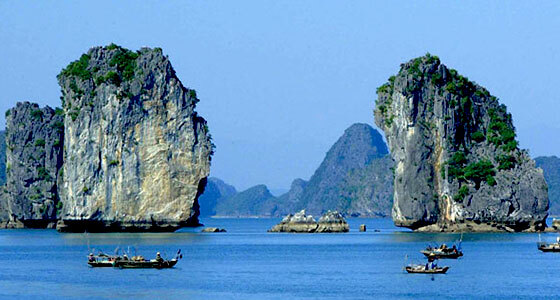 After the journey from Hanoi to Haiphong, you will take a Cat Ba Island. From Cat Ba, you will board your private junk and enjoy a delicious lunch while heading to Lan Ha Bay, sailing towards isolated islands through passages inaccessible to larger boats. You will have the afternoon floating amongst the karsts before enjoying drinks whilst watching the sunset over the bay, a truly magical experience. Shortly after, you will be served a freshly prepared seafood dinner followed by a night on board the boat. 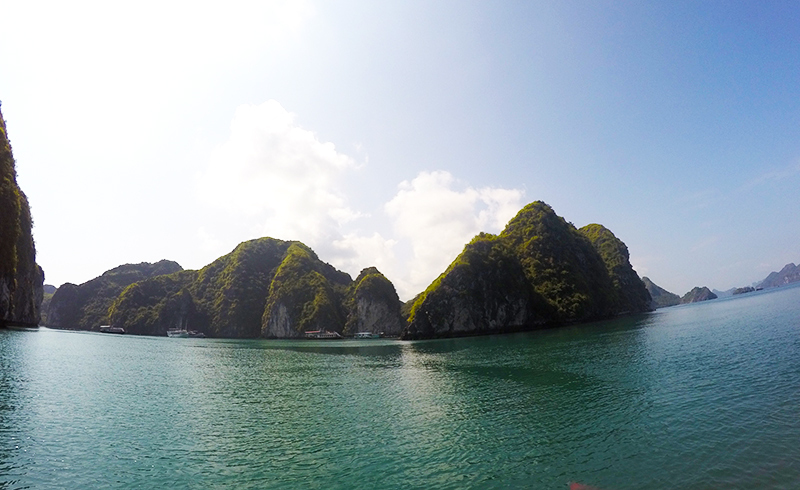 Highlight and activities: Lan Ha bay, fishing villages, kayaking and swimming. If you rise early enough, you will be rewarded with the glow of the sun rising over the bay. 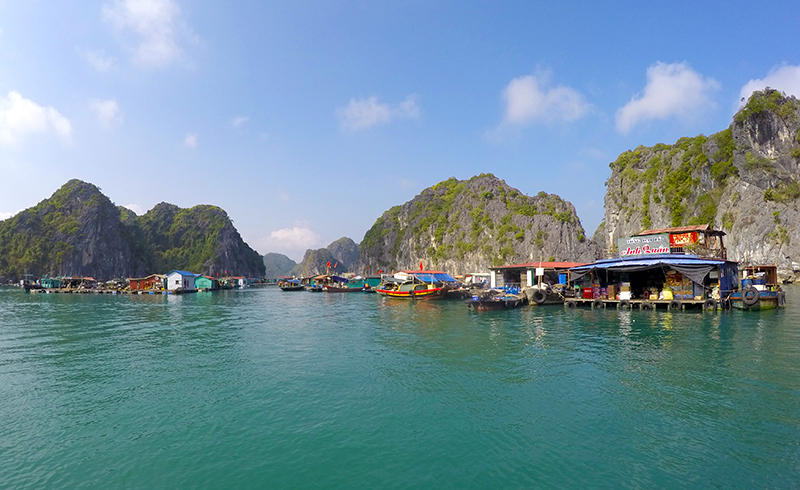 You will enjoy breakfast on board before starting out on the kayaks to explore Lan Ha Bay and visit a floating fishing village to discover this unusual way of life. After lunch, you can relax as you the boat takes you from Lan Ha Bay to Bai Tu Long Bay where you can visit Dau Be Island and then relax on a deserted beach. You will also kayak discover Ho Ba Ham to discover the three beautiful, hidden lagoons. 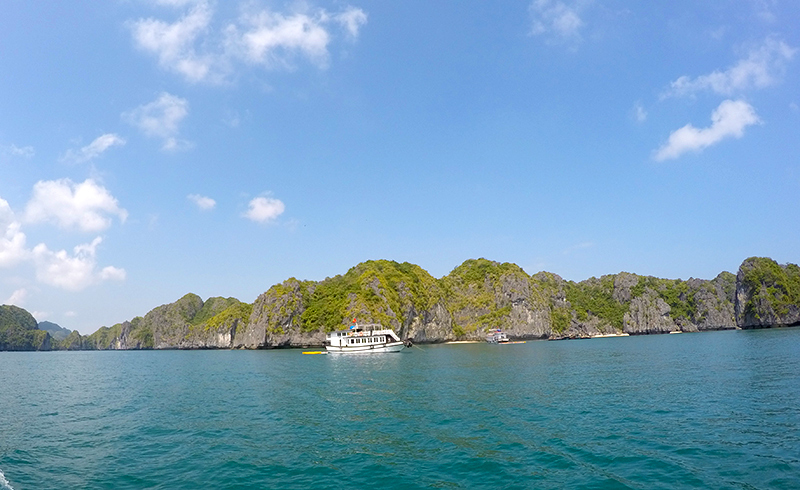 You will then voyage back to Lan Ha Bay where you will anchor up to enjoy drinks at sunset before a romantic dinner and overnight stay on board. After breakfast, you will head for dry land to visit Cat Ba National Park. 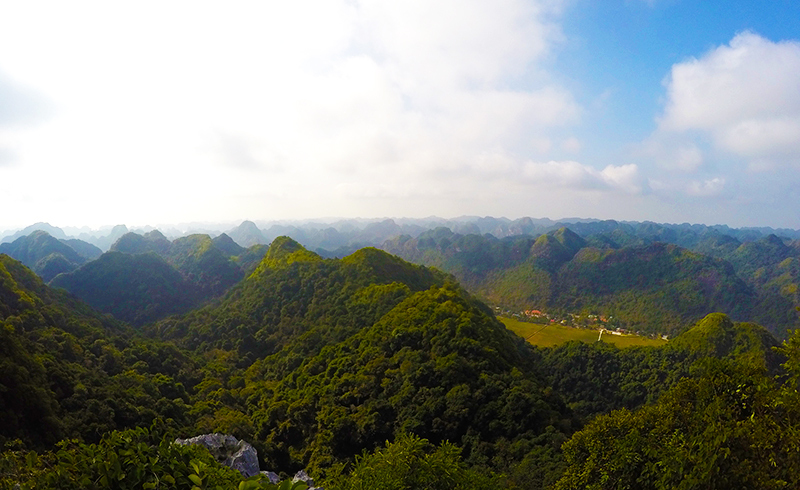 Today you can enjoy cycling to Viet Hai Village and trekking to Army Mountain for a panoramic view of the island and bay. After exploring the park, you will have one last meal on the boat before returning to Cat Ba Towns where you will board a speedboat to Hai Phong. From Hai Phong, you will begin the drive to Hanoi. 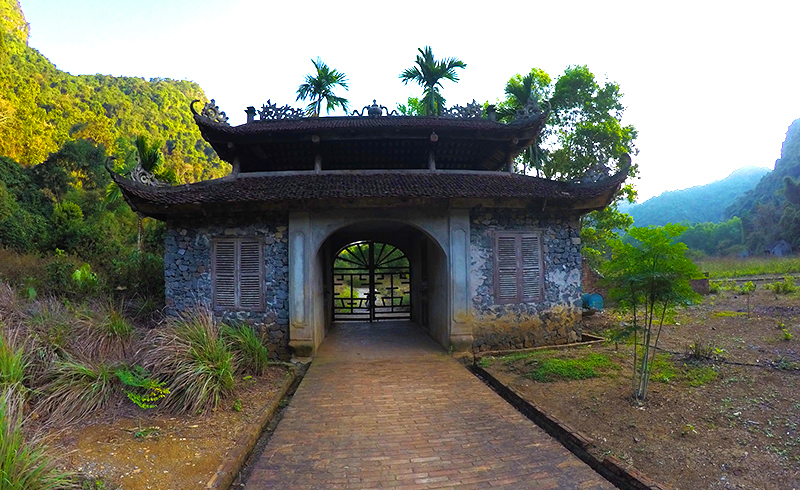 Highlight and activities: Cat Ba National Park, Viet Hai village, Army Mountain. - Private traditional Wooden Sailboat (2 nights).